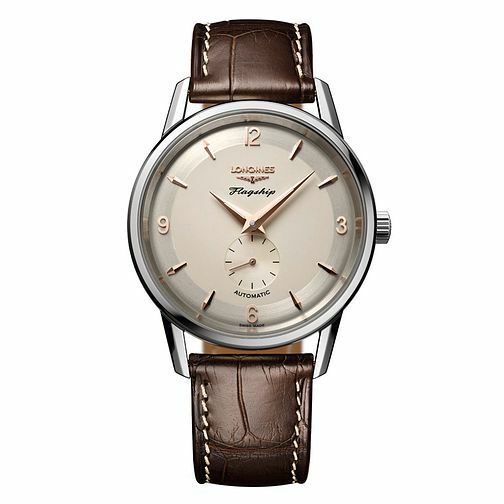 Adorned with broad beige tones and gilt detailing, Longines' Heritage collection celebrates the vintage designs of ages past with the Flagship design. Featuring automatic movement, a subdial to track a separate measurement of time and a classy brown leather strap with stitching detail. Made with decades of Swiss watchmaking expertise.